Puppy Linux is a full-fledged operating system, bundled with a collection of application suites for a wide variety of tasks suitable for general use. Puppy is small-sized, so it can boot from many media. It is also useful as a rescue disk, a demonstration system, leaving the original/existing operating system unaltered, or as an OS to a system with a blank or missing hard drive, or for keeping old computers useful. Puppy Linux features built-in tools which can be used to create bootable USB drives, create new Puppy CDs, or remaster a new live CD with different packages. 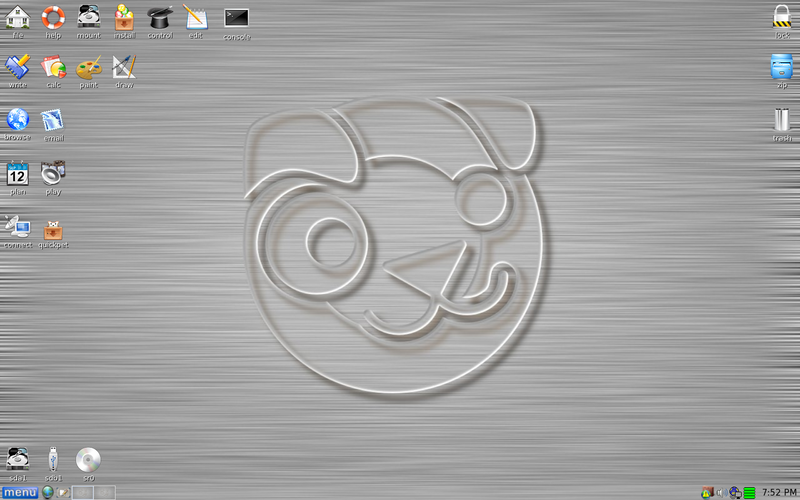 Puppy Linux has a unique feature which sets it apart from other Linux distributions: the ability to offer a normal persistently updating working environment on a write-once multisession CD/DVD. (It does not require a rewritable CD/DVD.) Puppy automatically detects changes in the file system and saves them incrementally on the disc. This feature works particularly well with DVDs, partly because of the much larger space available. While other distributions offer Live CD versions of their operating systems, they do not allow programs to be permanently added nor do they allow files to be written to the CD. Puppy also features sophisticated write-caching system designed to extend the life of USB flash drives that Puppy Linux runs from. Unlike some other OSes, Puppy Linux does not mount (i.e. prepare to read from/write to) hard drives nor connects to the network automatically. This reduces the odds that a bug or even intentionally-added incompatible software corrupts the contents of a hard drive. Since Puppy Linux fundamentally runs in RAM, all the files, operations and configurations that are created/modified in a session would disappear when the system is shut down. However, it is possible to save files upon shutdown. This feature allows the user to either save the file to disk (USB, HDD etc.) or even write the file system to the same CD Puppy has booted from, if "multisession" was used to create the booted CD and if a CD burner is present. This is true for CD-Rs as well as CD-RWs and DVDs. It is also possible to save all files to an external hard drive, USB stick, or even a floppy disk instead of the root file system. Puppy can also be installed to a hard disk. The default window manager in most Puppy releases is JWM. Packages of the IceWM desktop, Fluxbox and Enlightenment are also available via Puppy's PetGet package (application) management system (see below). Some derivative distributions, called puplets, come with default window managers other than JWM. When the operating system boots, everything in the Puppy package uncompresses into a RAM area, the "ramdisk". The PC needs to have at least 128 MB of RAM (with no more than 8 MB shared video) for all of Puppy to load into the ramdisk. However, it is possible for it to run on a PC with only about 48 MB of RAM because part of the system can be kept on the hard drive, or less effectively, left on the CD. Puppy is fairly full-featured for a system that runs entirely in a ramdisk, when booted as Live system or from a 'frugal' installation; however, Puppy also supports the 'full' installation mode, which allows Puppy to run from a hard drive partition, without a ramdisk. Applications were chosen that met various constraints, size in particular. Because one of the aims of the distribution is to be extremely easy to set up, there are many wizards that take the user through the process of a range of common tasks. Puppy Unleashed (currently replaced by Woof) is a tool used to create Puppy ISO images. It consists of more than 500 packages that are put together according to the user's needs. Woof is an advanced tool for creating Puppy installations. It requires an Internet connection and some knowledge of Linux to use. It is able to download the binary source packages from another Linux distribution and process them into Puppy Linux packages by just defining the name of that Linux distro. It is equipped with a simpler version control named Bones. Puppy also comes with a remastering tool that takes a "snapshot" of the current system and lets the user create a live CD from it, and an additional remastering tool that is able to remove installed components. Puppy Linux uses the T2 SDE build scripts to build the base binary packages. Puppy Linux's package manager, Puppy Package Manager, accepts packages from other distros (such as .deb packages). Because of the relative ease with which the tool Woof and the remaster tool can be used to build variants of Puppy Linux, there are many variants available. Variants of Puppy Linux are known as puplets. After Barry Kauler reduced his involvement with the Puppy Project, he designed two new distributions within the same Puppy Linux family, Quirky and Wary. 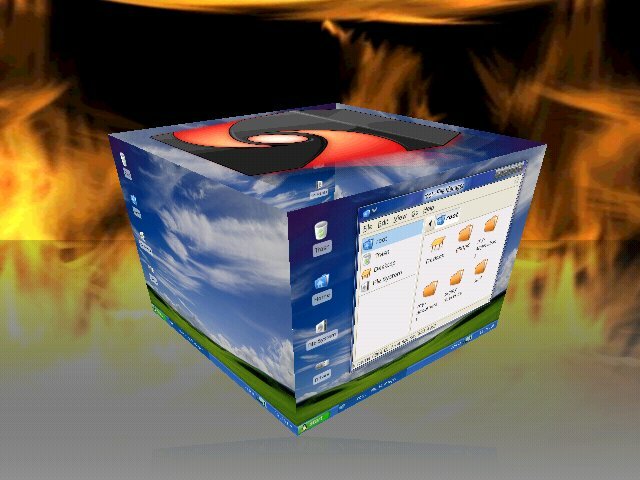 An embedded distro inside the kernel. All files required are inside the kernel. It has simple module loading management but fewer drivers are included. A Puppy variant targeted at users with old hardware. It uses an older, but long term support Linux kernel and the newest applications. A Puppy variant targeted at users with 64-bit platform. 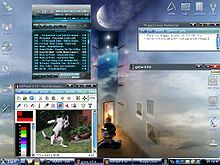 Puppy 1 series will run comfortably on very dated hardware, such as a Pentium computer with at least 32 MB RAM. For newer systems, the USB keydrive version might be better (although if USB device booting is not directly supported in the BIOS, the Puppy floppy boot disk can be used to kick-start it). It is possible to run Puppy Linux with Windows 9x/Windows Me. It is also possible, if the BIOS does not support booting from USB drive, to boot from the CD and keep user state on a USB keydrive; this will be saved on shutdown and read from the USB device on bootup. Puppy 2 uses the Mozilla-based SeaMonkey as its Internet suite (primarily a web browser and e-mail client). Puppy 3 features Slackware 12 compatibility. This is accomplished by the inclusion of almost all the dependencies needed for the installation of Slackware packages. However, Puppy Linux is not a Slackware-based distribution. Puppy 4 is built from scratch using the T2 SDE and no longer features native Slackware 12 compatibility in order to reduce the size and include newer package versions than that found in 3. To compensate for this, an optional "compatibility collection" of packages was created that restores some of the lost compatibility. Puppy 4.2 features changes to the user interface and backend, upgraded packages, language and character support, new in-house software and optimizations, while still keeping the ISO image size under 100 MB. 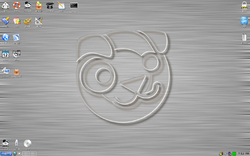 Puppy 5 is based on a project called Woof which is designed to assemble a Puppy Linux distribution from the packages of other Linux distributions. Woof includes some binaries and software derived from Ubuntu, Debian, Slackware, T2 SDE, or Arch repositories. Puppy 5 came with a stripped down version of the Midori browser to be used for reading help files and a choice of web browsers to be installed, including Chromium, Firefox, SeaMonkey Internet Suite, Iron and Opera. 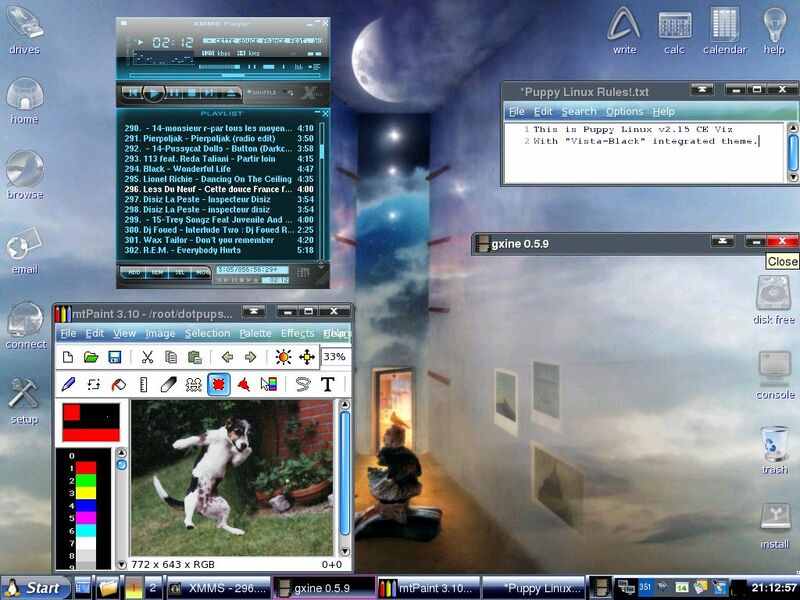 Puppy Linux has been criticized for running all users as root and its lack of available applications. DistroWatch reviewer Rober Storey concluded about Puppy 5.2.5 in April 2011: "A lot of people like Puppy - it's in the top 10 of the DistroWatch page-hit ranking. I enjoy Puppy too, and it's what I run exclusively on my netbook. Maybe the only thing wrong with Puppy is that users' expectations tend to exceed the developer's intentions." In a detailed review of Puppy Linux in May 2011 Howard Fosdick of OS News addressed the root user issue, "In theory this could be a problem -- but in practice it presents no downside. I've never heard of a single Puppy user suffering a problem due to this." 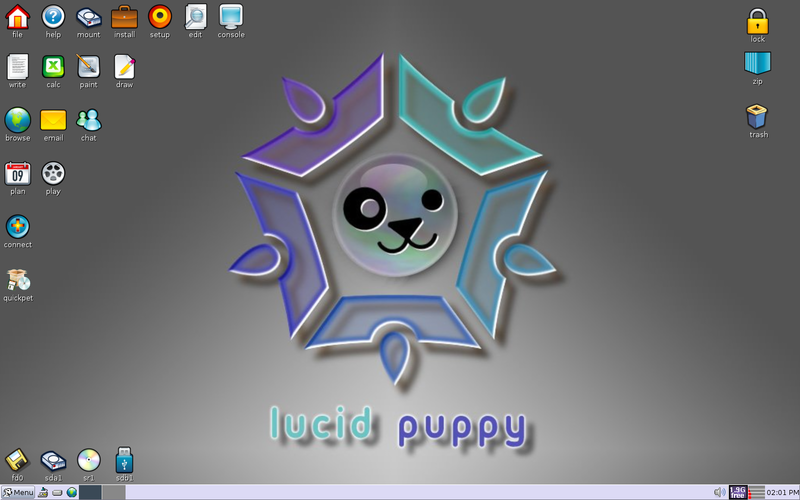 Fosdick concluded "I like Puppy because it's the lightest Linux distro I've found that is still suitable for end users. Install it on an old P-III or P-IV computer and your family or friends will use it just as effectively for common tasks as any expensive new machine."